It always makes me laugh when employers ask, “Why would personality testing help me deal with employees?” It’s also amazing that most managers pay little attention to potential new hires testing results. 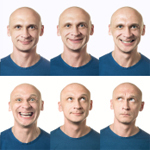 Why Does Personality Testing Matter? Why most employers have trouble with employees, is that they don’t communicate directions in ways that employees understand. These managers then present their tasks based off of how they see the world. This is wrong! Great managers understand how their employees see the world, and present tasks in ways that the employees understand. I was recently introduced to a manager that didn’t believe in testing. She was in charge of 36 assistant managers! I told here if I could test those employee’s, I could tell here which managers were the most successful (without meeting them in person). Here I’ll just present 2 different groups, to keep it simple. These are real people though! Another Note: I specifically choose 2 manager’s with the same personality to show you how important the employee’s are to a manager’s success. In the bulleted section I am placing my guesses on what type of employee the person is. Motivates employees through gift giving? A bit of a workaholic? If the Assistant is close to them, they are a good employee, if not…? Seem to pull the whole team together? Probably the best worker in this office? You feel they may quit? The manager was amazed that I picked the best office, but more because I was spot on with my descriptions. She went on to tell me that Worker 3, from the bad office, actually had quit. That worker, was the only one holding things together, and that’s why she even bothered to ask my opinion. She stated that she didn’t like personality tests because even though these 2 managers had the same personality, their performance was not the same. I told her the reason why the performance was different, was that the employees personalities were different. They can manage multiple projects, relationships, etc. I also wrote an article on testing for self esteem Self Esteem Personality Test. In my opinion, anyone that scores high on that test will be a good employee and vice versa! Personality tests should be used often to help craft the best work environment for all. If you don’t, expect allot of problems.